This cute little gal is from Great Impressions. I colored her with Copic markers, then cut out the image and border with Nestabilities dies. Stitched all layers with sewing machine. Mounted image to card base with Scrapbook Adhesives dots. Paper, ribbon and tag from my stash. 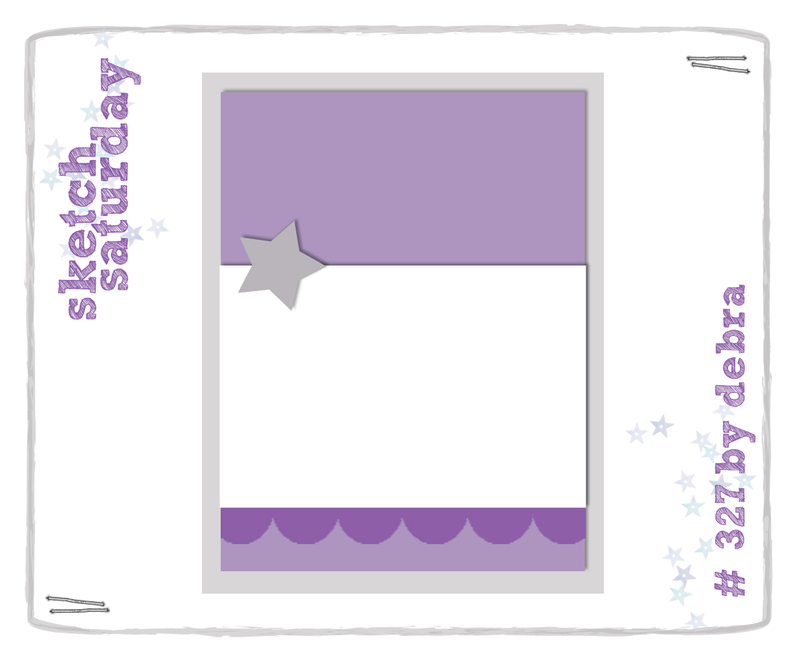 I used Sketch Saturday 327 as my inspiration but added the image above the border, the ribbon on the right side and a few glossy pebbles as accents. This is too cute !!! Adorable image !!! Thank you so much for joining us for the Fall themed linky party at Craftin' Desert Divas !!! Oh my ...she's adorable and the rest of your card as well. You have some lovely Great Impression images that you have brought to life. I hope to see more...as well as AI, DOlly, and the mice. This is darling...you really should enter this in the Great Impressions challenge this month...sure to be a winner! Thanks for joining us at 2 Cute Ink Challenges this week! How cute! Thanks for sharing with us at Penny's Paper-Crafty Challenge. This is lovely, thank you for joining us at Penny's Paper-Crafty. And good luck. Adorable image and great card design. Thanks for playing at Creative Knockouts! Cute image for the season. Thanks for joining our Fall Linky Party this week at Craftin’ Desert Divas. She's a cutie and so beautifully coloured.Love your colour/paper choices.Super sweet card.Thanks for joining us at Craft Your Passion.Hope to see you again next week. Absolutely adorable!!! Thank you for joining our Linky Party at Craftin Desert Diva's.